If you live for the snow, look no fur­ther than Whistler — a small town with a big moun­tain. Whistler-​​Blackcomb attracts an inter­na­tional crowd to its snow-​​covered slopes, and in the sunny sum­mer­time, the area still hums with tourists, cre­at­ing job oppor­tu­ni­ties year-​​round. If you’re look­ing for invest­ment prop­erty, Whistler has a huge mar­ket in sec­ond homes as well. With Vancouver, Whistler co-​​hosted the 2010 Winter Olympic Games. Whistler Employment Resources: Information about work­ing in Whistler, plus job listings. WorkBC: Overview of the job search process and links to job-​​hunting resources through­out British Columbia. For more job search resources, see Finding a Job. 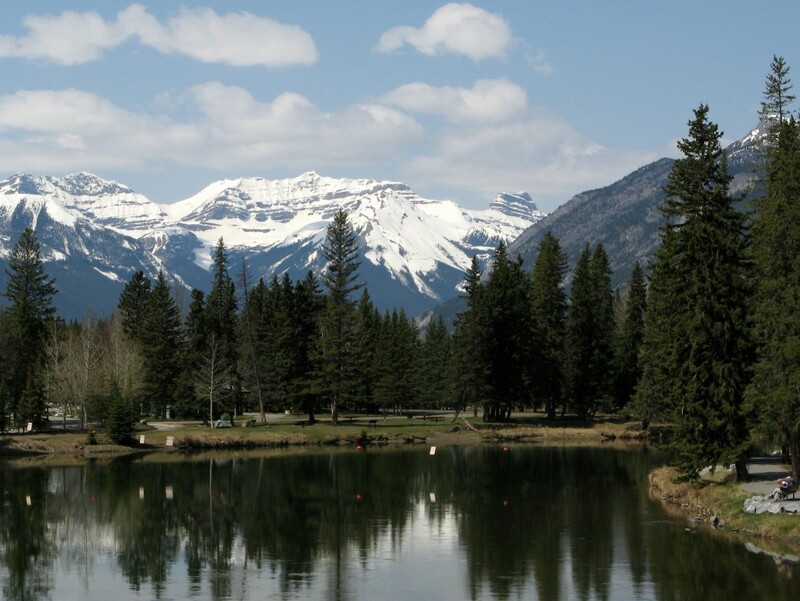 It’s hard not to gush about the Canadian Rockies. Even when you’ve seen pho­tos of the snow-​​capped peaks, crystal-​​blue lakes, and tow­er­ing ever­greens, it still doesn’t pre­pare you for being up close and per­sonal with these iconic moun­tains. If you’re lucky enough to live in the Rocky Mountains, keep a sec­ond home here, or just come for an extended visit, you’re, well, lucky. Located inside Banff National Park, the town of Banff has about 7,500 year-​​round res­i­dents, more than half of whom work in a tourism-​​related occu­pa­tion. About 25 kilo­me­ters (15 miles) to the south­east is the town of Canmore. Because hous­ing within the town of Banff is restricted due to its park loca­tion, many peo­ple work­ing in, or reg­u­larly vis­it­ing, the Banff area are choos­ing Canmore as their base. Working in Banff: Overview of the job search process and links to job-​​hunting resources in and around Banff. For more job search resources, see Finding a Job. Most peo­ple who’ve heard of Quebec’s Laurentian Mountains know the area for Mont-​​Tremblant. The largest ski resort in east­ern North America, Mont-​​Tremblant isn’t only the play­ground of Montrealers, who can be on the slopes in less than two hours; it also attracts skiers from around the world. Beyond Mont-​​Tremblant, though, the Laurentians offer every­thing from artsy vil­lages to week­end get­aways to the largest national park in Quebec. The top out­door recre­ation des­ti­na­tion in the province, the Laurentians typ­i­cally draw over two mil­lion vis­i­tors a year, mak­ing tourism the major source of jobs. If you’re look­ing to set­tle, buy a sec­ond home, or start a busi­ness in an active, out­doorsy region with plenty of ser­vices and ameni­ties, all within an easy drive of Montreal, have a look at the Laurentians. Tremblant Jobs: Job list­ings for the Tremblant ski resort. For more job search resources, see Finding a Job.